Christa Deans commenced wine studies in 1976 at Roseworthy College, during which time she gained valuable winemaking experience in Germany, France and Austria. In 1982 she joined the winemaking team at Wolf Blass wines, rapidly developing her talents in white wine and sparkling wine production. Christa is a white wine specialist and acknowledged by her winemaking peers as a forerunner and innovator in the production of premium quality Eden Valley Riesling. Christa’s winemaking style clearly stamps the footprint of the vineyard, to maintain the fruit’s identity and integrity through to the finished wine – terroir, structure, fruit purity and the ability to evolve and improve with aging are the hallmarks of her craft. Eden Hall’s Eden Valley vineyard produces consistently outstanding fruit and has been entrusted into the safe hands of Christa Deans since our first Riesling vintage in 2004. Whilst Eden Hall is known for its high quality noble varieties, we also believe that the Eden Valley can provide an ideal environment to nurture some particular alternative varieties. With this in mind we have led the way by grafting Gruner Veltliner in 2012 and it has been particularly gratifying to see it thriving adjacent to its natural soulmate, Riesling. With Christa’s European experience she has enthusiastically embraced the challenge of a new variety for the Eden Valley with outstanding results on the release of our first Eden Hall Eden Valley Gruner Veltliner in 2015. 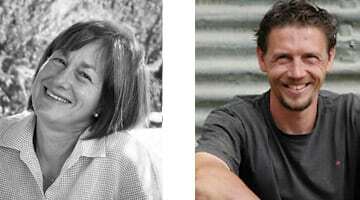 There is no winemaker in Australia better credentialed than Christa Deans to produce elegant white wines of purity. Kym Teusner, whose interest in wine developed during an eight-year stint managing Ayers House function centre, graduated from Adelaide University’s oenology course in 2001. He went on to gain an assistant winemaking position at Torbreck, during which time Teusner & Page Wines was born, before joining Rolf Binder Wines where he developed his capacity to create wines of individuality and distinction whether working on small, medium or large scale production. After leaving Rolf Binder Wines to focus on and expand the Teusner operation, success rapidly followed, including Kym winning the Gourmet Traveller 2007 Young Winemaker of the Year award and culminating in being recognised as a Baron of Barossa in 2015. Like all great winemakers, it is Kym’s steadfast belief that great wines can only truly be derived from great vineyards. Having coveted Eden Hall’s Avon Brae vineyard in the Eden Valley for some years Kym was particularly excited to gain access to its red fruit for his own label and at the same time to have the opportunity to make super premium red wine under the Eden Hall label. Kym has been especially impressed with ongoing refinements in the vineyard under the stewardship of Dan Falkenberg providing consistently high quality fruit and sustainably managed low yields. Kym Teusner’s signature is to respect the fruit with minimal interference so that the red wines display intensity, varietal character and terroir, balance, structure and spectacular weight across the palate. Eden Hall’s Eden Valley cool climate red wines promise much and more than deliver, just like Kym Teusner himself.